The Beach Boys are currently on an international tour and, while that in itself is much to celebrate, now the band has something else to celebrate . . . . 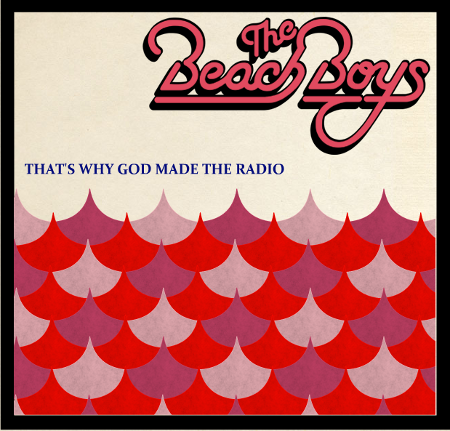 The release of their highly anticipated 50th Anniversary studio album That’s Why God Made the Radio, which recently debuted at number 3 on the Billboard’s top 200 album chart. Pretty spectacular that, even after all these years, the Beach Boys still know how to dominate the charts, right? Beach Boys Brian Wilson, Mike Love, Al Jardine, Bruce Johnston, and David Marks came together earlier this year to record That’s Why God Made The Radio, the first studio album composed of new and original songs to feature all of the band’s surviving original members since 1989’s “Still Cruisin'”. Because of this awesome success, we thought what better way to celebrate than to give away one (1) copy of the album to one (1) lucky winner! 1) Place your e-mail address in the comments section below along with your fave Beach Boys song. 2) Tweet your e-mail address to @celebdirtylaund along with your fave Beach Boys song. Deadline: The contest will run for 7 days, eventually closing on Tuesday, June 26th – though, please note, if the need arises we may extend the deadline. Make sure to enter SOON for your chance to win! There will be three (1) winner who will receive one (1) prize. Disclaimer: Celeb Dirty Laundry has not received any payment or products as a result of this giveaway. We just love giving away great treats to our readers! It makes us feel warm and fuzzy inside. Also, make sure to check out this awesome Facebook page where you can paint and design your own version of the album cover! Check out the album cover Celeb Dirty Laundry made up above — what do you think about the Beach Boys being CDL-ified? ENTER TO FOR YOU CHANCE TO WIN! Melody Gardot’s Gorgeous, Haunting New Album ‘The Absence’ Is A Treat For The Soul — Album Giveaway (Contest)! CDL Giveaway: David Bowie’s ‘Ziggy Stardust’ 40th Anniversary Reissue!